It’s not only that there are quite many social networks to manage, but is also the fact that each one has their own specifications. As soon as I had a handful of social networks to update, comments to reply, writing on my blog, manage accounts and read other’s blogs and content it became clear that I had to create a strategy in order that was possible to manage my time effectively during the day. I have created a list of techniques that I have been applying during each day and that you can see below on the Infographic. I hope these tips may be useful and that you can now apply some of them on your work life while using Social Media. Do you have any other tips or advices? 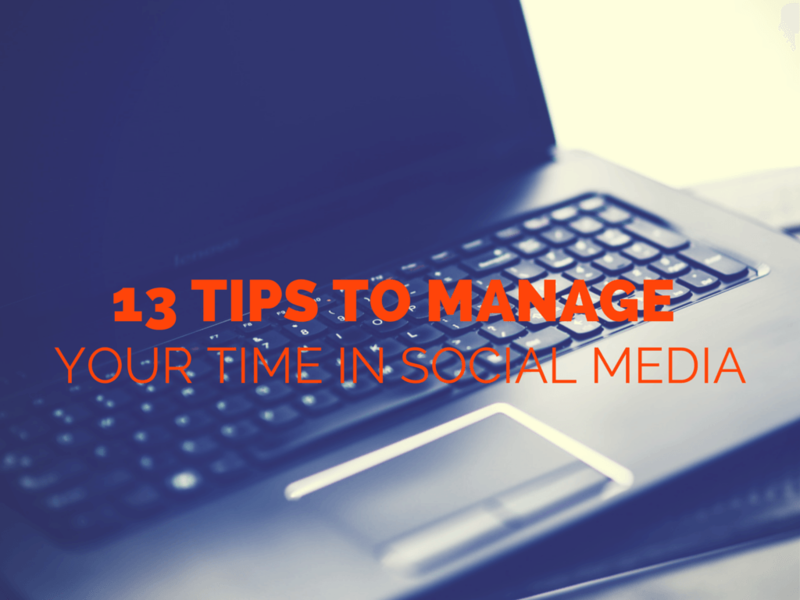 Drop me a line on the comments and share with us your experience managing Social Media. Muy bien, enhorabuena por la infografía está muy guapa. Voy apuntar eses 13 consejos porque desde luego hay que saber aprovechar y rentabilizar al máximo nuestro tiempo en las redes sociales. Muchas gracias por tus consejos. Si Claudio, para mi de momento es de las cosas más complicadas… Rentabilizar al máximo nuestro tiempo! Enhorabuena, muy buena infografía! !Me gusta mucho. Muchas gracias Rosa! Me alegro que te guste! Te la enviaré ahora mismo! Hola Emonark! Muchas gracias por tu comentario! Si claro, si me dices tu email te puedo enviar la versión original que a esta la tuve que bajar un poquito la resolución.